One of the best eye colors to choose that will be more striking against your skin is blue. Blue eyes are usually matched with blonde hair – however, this need not be the case. 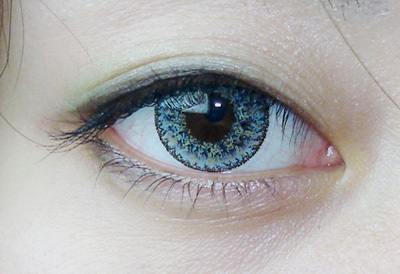 Thanks to these contact lenses by Geo, you'll be able to acquire that piercing look in a couple of minutes! Geo Nudy Blue will go well with your skin no matter what complexion it is. This is best for those who already have light-colored eyes to begin with, so that you may get the maximum level of clear blue possible. Wear it for a mesmerizing eye effect for an overall look that is sure to capture everyone's attention! Buy Geo contact lenses now and be able to purchase contact without prescription – you won't, and can never go wrong with this brand. Just ask the happy users of these contact lenses how ecstatic they are with they eyes now.